Dutchie's Instagram APP essentials – Dutchie. So here we are. Finally something fully Instagram and photography related on the blog! And guess what? 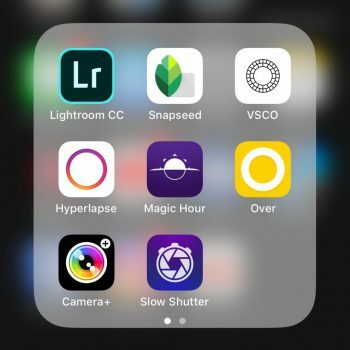 Yes, it’s the most obvious subject one can think of, but to my amazement there are still people who do not have these apps installed while they want to get the most out of their mobile photography and Instagram posts. Of course I’m super curious to hear if you agree. But do keep in mind these are the apps I love and use. And like anything you’ll read here on my page (as on my instagram) it’s just one person’s opinion. That person being me. So let’s get it on with. As the Dutch would say: ” klappppperrrrr van de week” or that one must have app that you obviously already have installed is “Snapseed”. Don’t tell anyone if you didn’t have it yet and quickly install. Opposed to giving you a whole lot of text about what each app does (I’m pretty sure most already know right? If not, and you need help, just drop me an email or DM on Instagram and i’ll be happy to help out.) i’ll group these in three groups. Editing. Capturing. And: The rest. The most versatile editing app available that also keeps it all very user friendly and easy. The one function that is absolute gold? Selective adjust. Having Google behind them this app gets the updates we all need. And if something is missing, you often find it added sooner or later. This app has over time made many others editing apps on my phone absolute. Apart from basic editing we all know VSCO for its filters. Their looks have made many Instagrammers reach higher hights back in the day and its still very useful and popular. Although you will need a bit of a personal touch these days to really stand out. But VSCO has the ability to provide this due to the adjustable filters, so play around and find your own unique look. Well, yeah. I must admit I do not often use this on my mobile, but its an amazing app. The full desktop version is such a powerful tool and when shooting in RAW (which even the newer mobile devices can do) possibilities are endless. Its like a grown up version of Snapseed. (on desktop.) Snapseed is the easier one on mobile though. Basic editing available here as well, and a camera that would be a bit better capturing those amazing moments than most standard mobile camera apps do. From the four apps mentioned here this is my least used one. The standard Iphone camera offers a time lapse option but this provides you a little more flexibility on shooting that time lapse you need to awe your social media audience. You chose the playback speed and how long it runs and before you know it you packed 10 minutes of action in a 20 second clip. Trust me, Instagram still loves this. This simple app lets you shoot long exposure shots on your mobile device. Many recent mobile cameras have this option embedded in their software but this isnt always the case so thats when you’ll need an app like this one. Set up your mini tripod and mobile and start shooting those light trails! Like mentioned above, an app like this will up the photo quality a but from the standard camera, which is always a win. Do I need to say more? This app tells you exactly when the magic or golden hour is on the provided location. Why do you want to know this? Because that is exactly when you should be out shooting! The light is always best at these times and they call it golden and or magic hour for a reason right? Your followers wil thank you for shooting at this time, and you will thank them and me due to the increase in likes and followers. You are welcome. Do please let me know which ones you think I’m missing, which I really really should try and well just any app that is utterly amazing. I just joined for my mobile phone. Then I am going to upload images for those who love to C more !